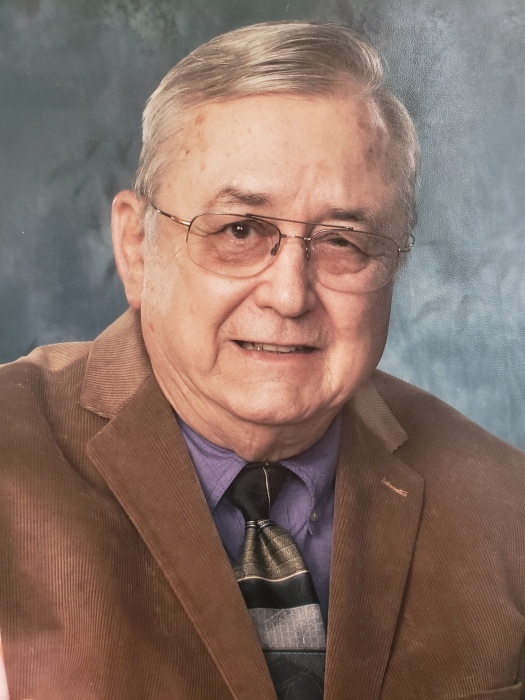 Funeral services for Charles Lloyd Platt, 80, of Olar, SC will be held three o’clock p.m., Sunday, February 10, 2019 at the First Baptist Church of Olar with Dr. Andy Sandifer, Reverend Dale Hutto and Dr. Kenneth Cato officiating; burial will be in the church cemetery. The family will receive friends one hour prior to the service at the church on Sunday. Memorials may be sent to the First Baptist Church of Olar, c/o Walter O’Rear, P.O. Box 142, Olar, SC 29843, Govan First Baptist Church, c/o Alice P. Johnson, P.O. Box 847, Denmark, SC 29042 or Jefferson Davis Academy, 5061 Hilda Rd., Blackville, SC 29817. Charles passed away on Thursday, February 7, 2019. Born in “Plattsville” in Denmark, SC, he was a son of the late Charlie F. Platt and Elizabeth A. Platt. He was a member of the First Baptist Church of Olar where he served as a deacon. He retired from Milliken as a maintenance chief having worked for 42 years. He was a Staff Sergeant in the Air National Guard where he was in the 169th Fighter Squadron for 13 years. He was deployed to Roda, Spain in 1961 – 62 during the Berlin Crisis. He was a member of the Govan Hilltoppers Group and the Olar Fire Department. He was an avid and prepared hunter and fisherman who never left home without his snacks. Charles was a devout Christian man who was the most accommodating and dependable brother, husband, father and grandfather whose family will miss him greatly. Survivors include his loving wife of 62 ½ years Harriett Morris Platt of the home; son Ricky Platt, Col. Ret. SCNG of Alexandria, VA and his fiancé Tonya Hudson of Hilton Head Island; daughter Pam (Don “P-nut”) Williams of Barnwell; adopted daughter Tammy Smith; grandchildren Brett Williams, Sara Mary Platt, Libby Platt and Charlie Platt; sisters Barbara (Asa) Way, Alice P. Johnson all of Denmark; nieces Lynn W. (Todd) Cook, Dawn J. (Matt) Morris; nephew Dean (Brent) Johnson.